I am new to Linux so thank you for your patience. I installed Linux mint with the option to completely use the disk and replace Windows 7. It's the latest version of Linux mint with xfce, burned onto a disk with boot option of (Legacy or UEFI) with rufus. THe installation seems to go fine, however, at the end of the installation I get a message that says something like "Installation is finished, but couldn't install apt packages from the CD". Not sure what this means, since I am using a bootable usb to install this. In any case, when I start the system back up and if it boots from the HD I only see a black screen witha cursor. I can boot back from the USB into the live environment but not directly from HD. 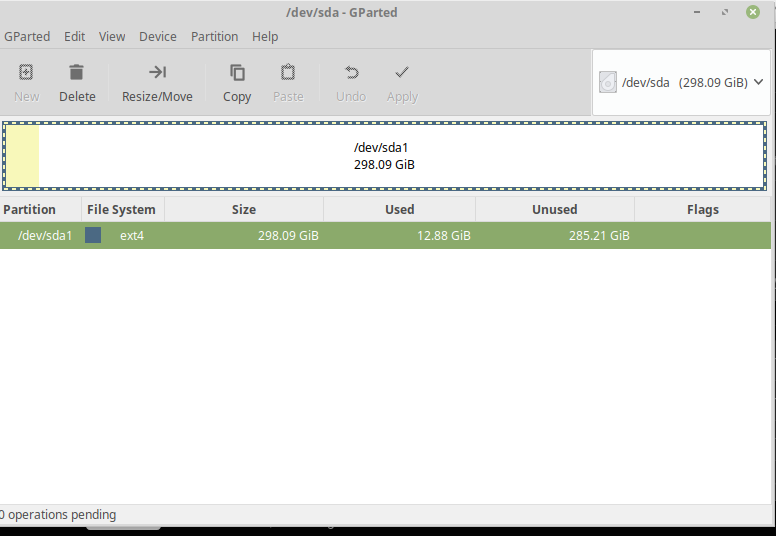 Here is a screenshot of the disk from looks like I don't have boot, swap partitions etc. What do I need to do? Also, just in case it helps...I decided to replace windows 7 with linux mint because windows was failing to recognize the built in wifi card and also the an external wifi card. Both the internal and external cards work intermittently in windows and when I start the computer I get a error message that says "Failed to loAD wifi module 701". It's an old (2011) HP g60 533 CL laptop, I don't know if the BIOS is an issue here. It seems the linux mint doesn't recognize the built in card either. I haven't tried the USB wifi adapter on linux yet. How do I get to boot the sytem into linux? Welcome to the forums, Linux and Mint, shame it's a rough start. and then try to install again. I suggest you try that first. Thanks gm10! That single line fixed everything. Now I can boot into Linux. Brilliant! Now onto making either my internal wifi card or the usb wifi card to get to work. Neither of them work right now, though the laptop is online with ethernet cable. Ah, that's good news. I was a bit unsure about this issue since I wasn't entirely sure what causes it, glad I nevertheless identified I correct solution for you. This thread here you should mark as solved by editing the first post's subject line and adding [SOLVED] to it.